People may suffer from different problems of the ear such as otorrhagia, tympanitis and deafness. Cause of different problems may be different in each individual. Otorrhagia is a condition when bleeding may occur from the ears. The cause of bleeding may be due to an injury, an infection, any trauma, or after the surgery. Deafness is a condition when a person loses the ability to hear normal voice. The normal hearing range for human ear is 20-2000Hz. When a person is unable to hear sound within this limit then it is referred to as deafness. It may also occur due to several reasons. Tympanitis occurs when there is inflammation of the stretched membrane of the ear. It may occur due to viral or bacterial infection. In this condition, person may have difficulty in hearing normal voice. It may also result due to infection of the inner or middle ear. Sometimes infection of the throat can also cause infection of the tympanic membrane. Infection of the tympanic membrane is mostly seen in children due to recurrent throat infection. Otorrhagia may occur due to an injury during an accident or trauma to the external ear. Infection of the middle ear can also cause bleeding from the ear. Sometime severe infection of throat can cause bleeding from the ear. Deafness may occur due to genetic disorders or due to increasing age. Some children are born with hearing loss which is called as congenital hearing loss. It may occur due to defective genes that are transmitted to the child from either parent. Acquired deafness is a type of hearing loss which may occur during life due to severe infection, any injury, exposure to loud noise for prolonged period of time or any other systemic disease. The most important cause of inflammation of the tympanic membrane is bacterial or viral infection. It is seen in children who suffer from recurrent infection of lungs, throat or respiratory tract. The most important symptoms of any ear disease are pain in the ear. It is associated with all types of ear diseases. Swelling may occur due to recurrent infection and inflammation. Severe accumulation of pus or ear wax may also cause partial hearing loss in some individuals. Ringing in the ear may be present due to accumulation of pus. Vertigo is a symptom that may be present due to heaviness of the ear. The two main functions of ear are to maintain body balance and to help in hearing. Any ear disease can lead to vertigo or loss of balance. Divya Sarivadi Vati: This herbal remedy is an excellent deafness cure. It provides relief from infection of the ear. It boosts up the immunity of the child and helps to prevent recurrent infection. It gives relief from pain in the ear. It also reduces pus and swelling in the ear. Divya Chandraprabha Vati: This herbal remedy is one of the best treatments for hearing loss. It may be given for acquired deafness. It helps in the treatment of inflammation of the tympanic membrane by boosting up the immunity. 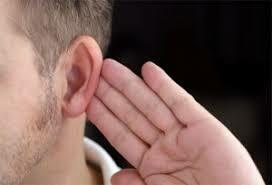 It also helps to prevent the hearing loos that may occur due to increasing age or from recurrent infection. Divya Shilajeet Rasayan Vati: This is another useful remedy for ear diseases. It may be taken as a preventive for recurrent throat and ear infections in children. 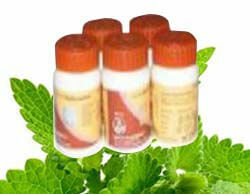 This is a safe herbal remedy and does not produce any adverse effects. It is useful for deafness cure. It provides best nutrients for recovery of any injury to the ear. It also helps to prevent hearing loss that may occur due to weakness or infection of the ear. Make a mixture by adding onion juice and water in equal amounts. Put one drop of this mixture in each ear to prevent pain in the ear. It quickly gives relief from earache. Almond juice also helps to give relief from ear ache. You can warm almond juice slightly and let it cool. It will give relief from pain and infection of the ear. Grape fruit extract is also known to posses anti-inflammatory properties. It can also be used to get rid of recurrent infections of the ear. Garlic juice can be mixed with lukewarm water to make an effective home remedy for recurrent infections of the ear. Put one drop of this mixture everyday to get rid of ear infections. Take half tea spoon of mustard oil and warm it slightly. Put one drop of mustard oil in the affected ear to get immediate relief from pain. Children suffering from recurrent throat infections should avoid eating sweets and chocolates to avoid infection of the ear. Exposure to loud noises for prolonged periods of time should be avoided as it may lead to partial deafness of ears.